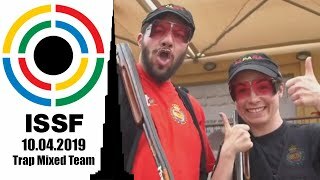 The Japanese athlete already collected an Olympic slot during last year’s ISSF World Cup, so as he claimed the top of the Trap Women podium in New Delhi, the quota place went to 2nd placed Li Qingnian of the People’s Republic of China. Japan’s Yukie Nakayama started the 2016 season the best way she could, claiming the Trap Women Gold medal at the Asia Olympic Qualifying Competition in New Delhi (IND). 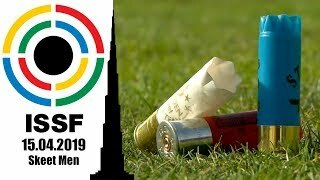 In a tight Gold medal match, Nakayama bested People’s Republic of China’s Li Qingnian only after a tie-breaking shoot-off as both athletes hit 12 of the regular 15 targets. In the following tie-breaker round it took two more clays for Nakayama to claim the 1st place, as Li missed her second target and concluded in 2nd position. 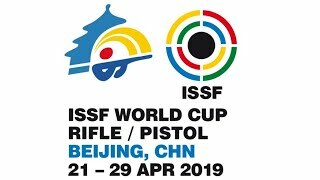 Despite the loss, and thanks to the quota place earned by the Japanese shooter during last year’s ISSF World Cup, Li was awarded with the only Olympic slot up for grabs in this event. 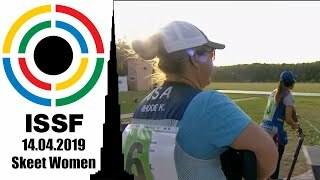 Before competing for the 1st place, both Nakayama and Li went through a previous shoot-off against another Chinese, Chen Fang, who, in the Bronze medal match, prevailed over Independent Shooting Participant Sarah Alhawal with a final score of 13 hits to 11, earning China’s second medal in the same event. Outside of the medal matches, Korean shooter Kang Geeeun finished 5th and Kazakhstan’s Mariya Dmitriyenko placed 6th. 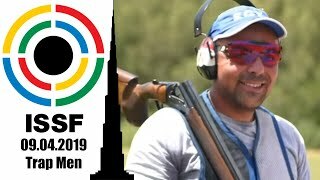 The competition will continue tomorrow with the 25m Rapid Fire Pistol Men final scheduled at 1:30 PM (UTC+5:30), followed by the Trap Men final at 3:15 PM.